Properties in Ruschberg Station average 4.5 out of 5 stars. Exclusively renovated historical BAHNHOFSBAUDE with terrace, garden etc. Property 22: Exclusively renovated historical BAHNHOFSBAUDE with terrace, garden etc. Enjoy pure holidays with us and recreation! Property 28: Enjoy pure holidays with us and recreation! Detached holiday home with terrace and its own garden in the Hunsrück. 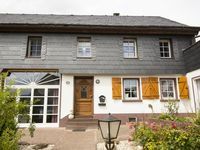 Property 40: Detached holiday home with terrace and its own garden in the Hunsrück. Le mignon. Small, cozy apartment with large terrace in the countryside. 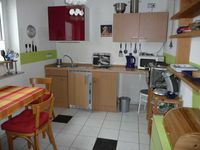 Property 49: Le mignon. Small, cozy apartment with large terrace in the countryside. Wonderful house and great location! The house is cozy and has every possible amenity. My family and I loved staying here! Lovely place, very charming! Great host!